Tess Graham is uniquely qualified to talk about breathing and health. For over two decades she has delivered breathing retraining programs to more than 6000 people – children, adults, the elderly, athletes and invalids alike – with extraordinary and consistent success. She established Australia’s first dedicated breathing clinic in Canberra, Australia in 1993. Tess graduated from the University of New South Wales with a science degree, majoring in anatomy and physiology and has post graduate qualifications in physiotherapy and breathing retraining, including a Diploma in Buteyko Breathing Method. She built up a clinical practice focused entirely on breathing-related issues, the most common of which were asthma, anxiety and panic disorders, and sleep-breathing problems like snoring and sleep apnea. Other areas of focus included children’s breathing-related issues, and working with athletes for sports performance enhancement. Tess has involved herself with research, development, training, writing and lecturing in the growing field of breathing retraining. She has appeared on national radio and television and is a frequent speaker at conferences and industry events. Tess is the director of BreatheAbility International and creator of the BreatheAbility® for Health seminars and programs. She conducts practitioner training programs throughout Australia and abroad. 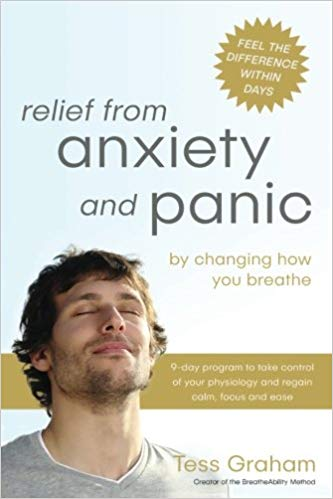 Tess Graham is the author of Relief from Snoring and Sleep Apnea: A step-by-step guide to restful sleep and better health through changing the way you breathe (Penguin Australia, 2012;) and Relief from Snoring and Sleep Apnea (CreateSpace/USA 2014).